When Nemanja Matic signed for Manchester United in the summer, sport analysts were questioning Chelsea’s decision to part ways with the Serbian who they describe as a “title-winning material”. Perhaps Antonio Conte didn’t see him that way. Just five weeks into the season, the signs are already there to show that Conte’s loss has become Jose Mourinho’s gain. Who cares if the Italian is regretting? 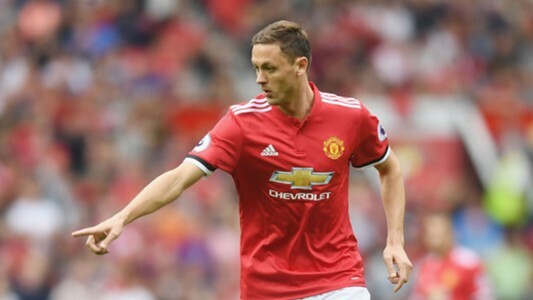 Matic was handed the man of the match award in Manchester United’s 4-0 win over Everton at Old Trafford after putting up an outstanding performance and that again confirms how crucial he has been for the Red Devils this season. Since his arrival, the former Chelsea man has been ever-present in the midfield and that gave Paul Pogba the freedom to push forward. Little wonder the Red Devils scored 12 goals in their first 4 premier league games of the season in which the two players were in the midfield. And when Pogba was absent against Everton, the 29-year-old pushed forward a little and was very effective. Statistics also show that he had more influence on United’s attack more than Juan Mata and Henrikh Mkhitaryan in the first half. He got an overall rating of 8 out of 10 in the game against Everton. Infact, he could have got a goal to cap a brilliant performance. Matic has a rating of 4.5 stars out of 5 with a performance score of 175 according to Sqawka.com. He has also completed 322 passes with a pass accuracy of 90% and 76% of them have been forward passes. The duo of Eric Bailly and Phil Jones have also benefitted from his defensive discipline. And despite being handed the task of seating deep for United, Matic has 1 assist to his name and has created 2 chances so far. His performances have not gone unnoticed by Manchester United fans. With what we have seen so far, we can proudly say Matic is looking like United’s best buy of the summer.